I cannot believe we're through September already. I couldn't possibly be happier though, because October is one of my favorite months of the year. I always find myself trying out a lot of new items in October, just because I love fall makeup so much. I feel like I say this every month, but September went by so fast! I fell in love with several new products during the month of September, and I can't wait to share them with you in today's post. I don't know why it took me so long to get on board with coconut oil, but I tried it for the first time this month. Crazy, right? Everyone should have a jar of coconut oil, because it good for so many different things. I've been really impressed with coconut oil lately, and I've been using it to remove my makeup/cleanse my skin. 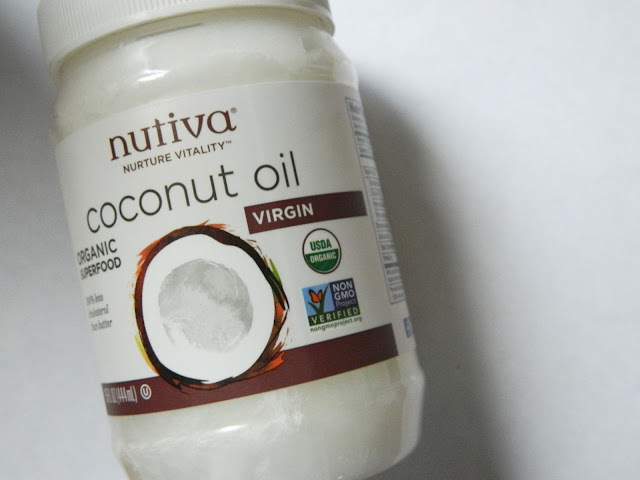 I rub a bit of coconut oil between my finger to emulsify it and massage it all over my skin to take off my makeup. I add water as needed until I've taken all my makeup off. I'm not sure why I've been spending money on fancy makeup removers when I could have been using coconut oil for all this time! 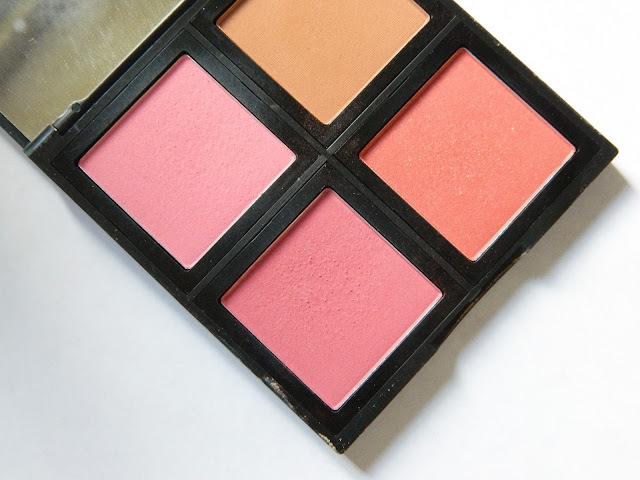 Blush is definitely one of my favorite makeup products, and the ELF Blush Palette has all the colors I need. These blushes are incredibly pigmented, so you do have to be a bit careful when dipping your brush in. I love the pigmentation of these blushes though, since you only need to use a tiny bit. I've had this palette for a few months and I've barely made a dent in any of the shades! My favorite shade, especially for fall is the deep rose shade on the bottom left. You get 4 amazing shades for $6... You simply can't go wrong! I've had the MAC Angel Lipstick for a bit, but I really started loving it during the month of September. I felt like September was a bit early for deep lipstick shades, but I still wanted something that gave my lips a nice flush of color. 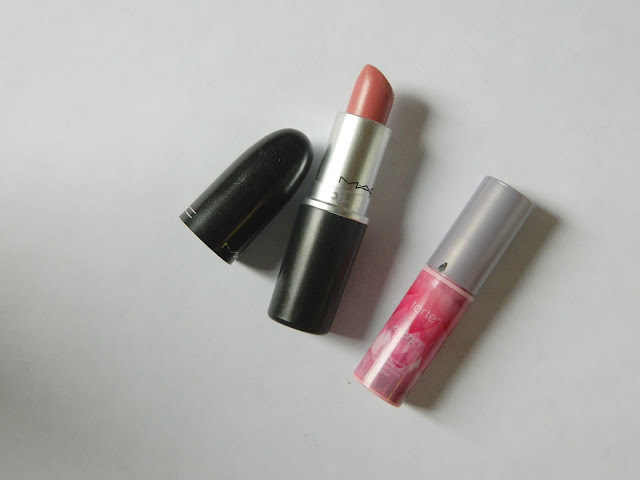 This lipstick looks great with this MAC Lipliner as well, as it deepens the shade just a tad. The other lip product I loved during the month of September was the Tarte Skintuitive Lip tint. I actually just have the sample size of this, as it came with my Tarte Cheek Stain, but I will definitely be purchasing the full size. This product actually adjust to the pH in your lips and creates a color that looks great on you. To me, the color always looked like I'd just bit into a juicy apple. I love the natural effect that it creates. It's perfect to throw on quickly to give your lips a pop of color! I have a lot of perfume favorites, but I just purchased this one this month and I can' stop wearing it. One of my friends was wearing it one day and I had asked her what perfume she was wearing and she told me it was Viva la Juicy! It smelled so fresh and feminine that I knew I had to have it. I bought it right away and I've been wearing it almost everyday. It's the perfect everyday signature scent! I originally bought this brush for highlighting purposes, but when it arrived, I decided to try it for setting my under eye concealer. 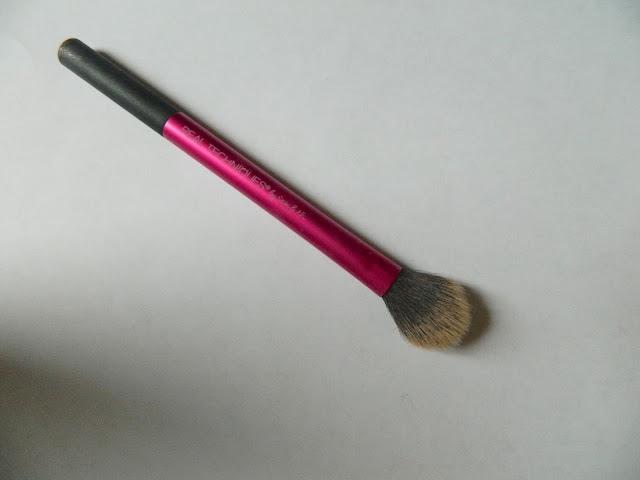 I loved the size of the brush for under my eyes, and it set my concealer flawlessly. I decided I wanted to continue using the brush to set my under eyes. I simply dip the brush into my favorite under eye setting powder and pat to set the concealer. What products have you all been loving this month? Coconut oil is always on my most used list, I can't get enough of it! 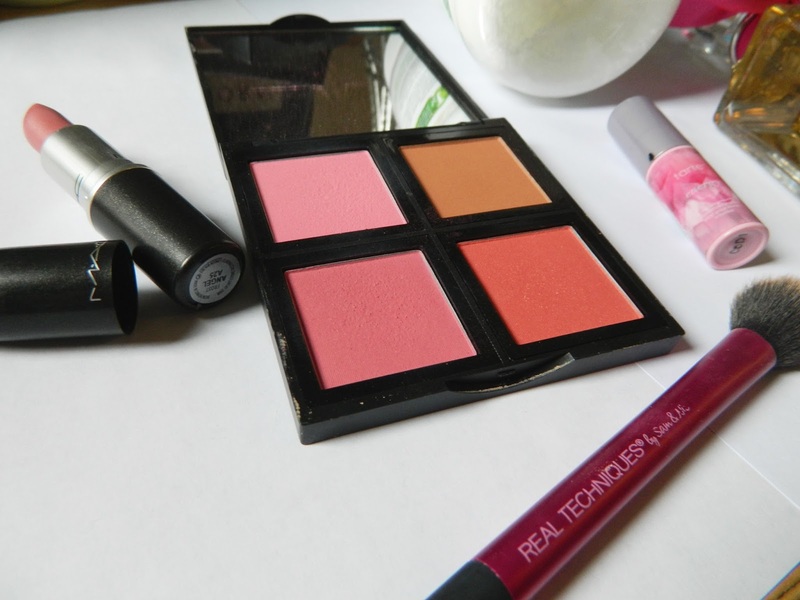 The ELF blush palette is perfect for everyday :) it has all the colors you'd need! Nice picks! The elf blush palette looks great! It includes such pretty colours. I also have to compliment the shade of that MAC lipstick! Very pretty. Love me some MAC lipstick! Definitely picking up a few new shades for fall! coconut oil is forever the truth!!!! great post! These are some of my favorites, too. I love coconut oil, I think it's a miracle product. Mac's 'Angel' lipstick is one of my favorites. I really want to try the blush palette. Thanks for sharing! I am also so obsessed with coconut oil. 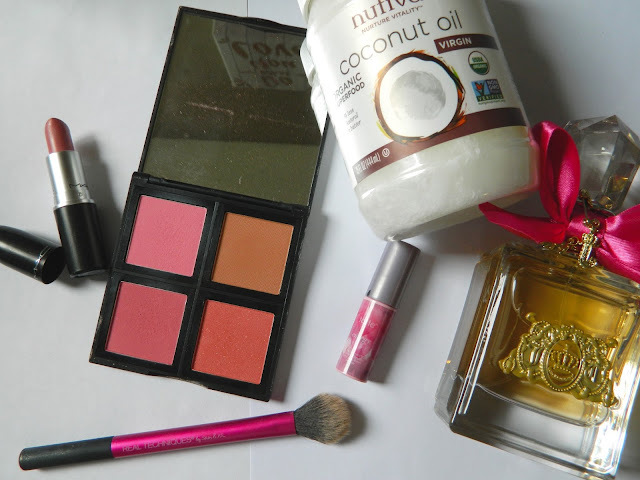 I mentioned it in my August favorites and I did a top uses for coconut oil as well on my blog. You can definitely understand my obsession haha! That blush palette looks awesome. I wouldn't have thought it was by elf! Elf has really stepped up their makeup game! Love all of these items. I LOVE coconut oil! I use it all the time for my hair and skin. And MAC is one of my favorite makeup brands.